DBMS_SPM provides some APIs to create a SQL Plan Baseline (SPB) from the Cursor Cache, or from a SQL Tuning Set (STS), but not from the Automatic Workload Repository (AWR). For the latter, you need a two-steps approach: create a STS from AWR, then load a SPB from the STS. Fine, except when your next fire is waiting for you, or when deciding which is the “best” plan is not trivial. Take for example chart below, which depicts multiple execution plans with different performance for one SQL statement. The SQL statement is actually quite simple, and data is not significantly skewed. On this particular application, usually one-size-fits-all (meaning one-and-only-one plan) works well for most values passed on variable place holders. Then, which plan would you choose? Looking at summary of known Execution Plans’ performance below (as reported by planx.sql), we can see the same 6 Execution Plans. 1st Plan on list shows an average execution time of 2.897ms according to AWR, and 0.896ms according to Cursor Cache; and number of recorded executions for this Plan are 2,502 and 2,178 respectively. We see this Plan contains one Nested Loop, and if we look at historical performance we notice this Plan takes less than 109ms 95% of the time, less than 115ms 97% of the time, and less then 134ms 99% of the time. We also see that worst recorded AWR period, had this SQL performing in under 150ms (on average for that one period). We also notice that last plan on list performs one execution in 120.847ms on average (as per AWR) and 181.113ms according to Cursor Cache (on average as well). Then, “pinning” 1st plan on list seems like a good choice, but not too different than all but last plan, specially when we consider both: average performance and historical performance according to percentiles reported. Plans performance summary above is displayed in a matter of seconds by planx.sql, sqlperf.sql and by a new script spb_create.sql. This output helps make a quick decision about which Execution Plan is better for “pinning”, meaning: to create a SPB on it. Sometimes such decision is not that trivial, as we can see on sample below. Which plan is better? I would go with 2nd on list. Why? performance-wise this plan is more stable. It does a Hash Join, so I am expecting to see a Plan with full scans, but if I can get consistent executions under 0.4s (according to percentiles), I would be tempted to “pin” this 2nd Plan instead of 1st one. And I would stay away from 3rd and 5th. So maybe I would create a SPB with 3 plans instead of just one, and include on this SPB 1st, 2nd and 4th on the list. This new script is a life-saver for us, since our response time for an alert is usually measured in minutes, with a resolution (and sometimes a root cause analysis) expected in less than one hour from the time the incident is raised. After you respond to ACCEPT parameters, then a SPB for your SQL is created and displayed. It does not matter if the Plan exists on Cursor Cache and/or on AWR, it finds the Plan and creates the SPB for you. Then: finding known Execution Plans, deciding which one is a better choice (or maybe more than one), and creating a SPB, all can be done very rapidly. If you still prefer to use SQL Profiles and not SPBs for whatever reason, script coe_xfr_sql_profile.sql is still around and updated. On these 12c days, and soon 18c and beyond, I’d much rather use SQL Plan Management and create SPBs although! Anyways, enjoy these free scripts and become a faster hero “pinning” good plans. Then don’t forget to do diligent root cause analysis afterwards. I use SQLd360 by Mauro Pagano for deep understanding of what is going on with my SQL statements. Soon, I will post about a cool free tool that automates the implementation of SQL Plan Management on a high-rate OLTP where stability is more important than flexibility (frequently changing Execution Plans). Stay tuned! Many tools offer Public APIs, which expose some functionality to other tools. SQLTXPLAIN contains also some Public APIs. They are provided by package SQLTXADMIN.SQLT$E. I would say the most relevant one is XTRACT_SQL_PUT_FILES_IN_DIR. This blog post is about this Public API and how it can be used by other tools to execute a SQLT XTRACT from PL/SQL instead of SQL*Plus. Imagine a tool that deals with SQL statements, and with the click of a button it invokes SQLTXTRACT on a SQL of interest, and after a few minutes, most files created by SQLTXTRACT suddenly show on an OS pre-defined directory. Implementing this SQLT functionality on an external tool is extremely easy as you will see below. Public API SQLTXADMIN.SQLT$E.XTRACT_SQL_PUT_FILES_IN_DIR inputs a SQL_ID and two other optional parameters: A tag to identify output files, and a directory name. Only SQL_ID parameter is mandatory, and the latter two are optional, but I recommend to pass values for all 3. I used “Q1” as a tag to be included in all output files. 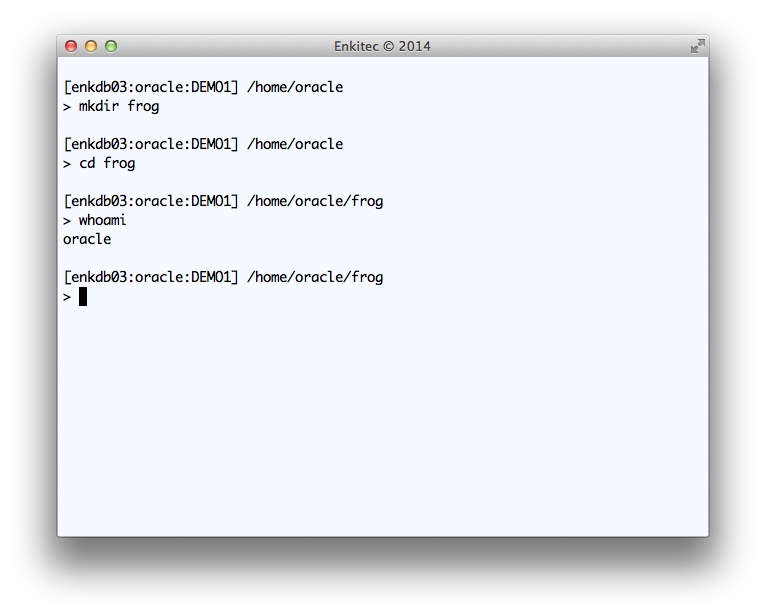 And I used staging directory “FROG_DIR” at the database layer, which points to “/home/oracle/frog” at the OS layer. On sample below, I show how to use this Public API for a particular SQL_ID “8u0n7w1jug5dg”. I call this API from SQL*Plus, but keep in mind that if I were to call it from within a tool’s PL/SQL library, the method would be the same. Another consideration is that Public API SQLTXADMIN.SQLT$E.XTRACT_SQL_PUT_FILES_IN_DIR may take several minutes to execute, so you may want to “queue” the request using a Task or a Job within the database. What is important here on this blog post is to explain and show how this Public API works. Find below code snippet showing API Parameters. Notice this API is overloaded, so it may return the STATEMENT_ID or nothing. This STATEMENT_ID is the 5 digits number you see on each SQLT execution. * returning the sqlt statement id. * puts all generated files into an os directory. To implement Public API SQLTXADMIN.SQLT$E.XTRACT_SQL_PUT_FILES_IN_DIR on your tool, you need first to create and test a staging directory where the API will write files. This directory needs to be accessible to the “oracle” account, so I show below how to create sample directory “frog” while connected to the OS as “oracle”. Since the API uses UTL_FILE, it is important that “oracle” can write into it, so be sure you test this UTL_FILE write after you create the directory and before you test Public API SQLTXADMIN.SQLT$E.XTRACT_SQL_PUT_FILES_IN_DIR. Use code snippet provided below to test the UTL_FILE writing into this new staging OS directory. On your tool, you can call this SQLT Public API from PL/SQL. You may want to use a Task or Job since the API may take several minutes to execute and you do not want the user to simply wait until SQLT completes. Public API SQLTXADMIN.SQLT$E.XTRACT_SQL_PUT_FILES_IN_DIR is available for any 3rd party tool to use. If SQLT has been pre-installed on a system where your tool executes, then calling this API as shown above, will generate a set of SQLT files on a pre-defined staging OS directory. If the system where you install your tool does not have SQLT pre-installed, your tool can direct its users to download and install SQLT out of My Oracle Support (MOS) under document 215187.1. Once you generate all these SQLT XTRACT files into an OS staging directory, you may want to zip them, or make them visible to your tool user. If the latter, then show the “main” html report. 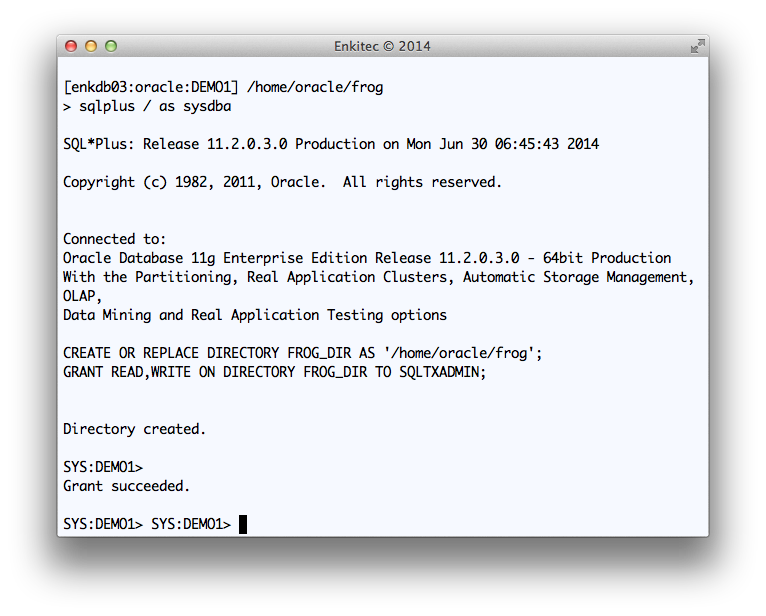 SQLT is an Oracle community tool hosted at Oracle MOS under 215187.1. This tool is not supported, but if you have a question or struggle while implementing this Public API, feel free to shoot me an email or post your question/concern on this blog. As everyone else on a distribution list, my first impulse is to make an educated guess permeated by a prior set of experiences. The intentions are always good, but the process is painful and time consuming. Many of us have seen this kind of question, and many of us have good hunches. Still I think our eagerness to help blinds us a bit. The right thing to do is to step back and analyze the facts, and I mean all the diagnostics supporting the observation. What is needed to diagnose a SQL Tuning issue? I could keep adding bullets to the list, but I think you get the point: There are simply too many things to check! And each takes some time to collect. More important, the state of the system changes overtime, so you may need to re-collect the same diagnostics more than once. SQLT or SQLTXPLAIN, has been available on MetaLink (now MOS) under note 215187.1 for over a decade. In short, SQLT collects all the diagnostics listed above and a lot more. That is WHY Oracle Support uses it every day. It simply saves a lot of time! So, I always encourage fellow Oracle users to make use of the FREE tool and expedite their own SQL Tuning analysis. When time permits, I do volunteer to help on an analysis. So, if you get to read this, and you want to help yourself while using SQLT but feel intimidated by this little monster, please give it a try and contact me for assistance. If I can help, I will, if I cannot, I will let you know. It is fun to guess WHY a SQL is not performing as expected, and trying different guesses is educational but very time consuming. If you want to actually find root causes before trying to fix your SQL, you may want to collect relevant diagnostics. SQLT is there to help, and if installing this tool is not something you can do in a short term, consider then SQL Health-Check SQLHC.